Real Life Beyond Faith: What do you mean you're an atheist? What do you mean you're an atheist? When I started sharing with people that I was no longer a Christian and that I now identify as an atheist. I was met with a bit more confusion than I had expected. I received questions like, "So what does that mean? Do you not believe in Jesus then?" "What do you believe will happen to you when you die?" "Do you not believe there is a god or do you believe there is a god and are just choosing not to worship him?" These questions surprised me a bit because I thought the word atheist was pretty well understood. I found it was necessary to be a bit more specific. Also, atheism gets a lot of negative stigma in our society, especially in the U.S., because the majority of people believe in god in one form or another. Another reason it receives negative stigma, though, is because it is misunderstood sometimes. Some people tend to equate atheism with immorality, rebellion, anger, hate, satanism, etc. In reality, those traits don't describe most atheists. 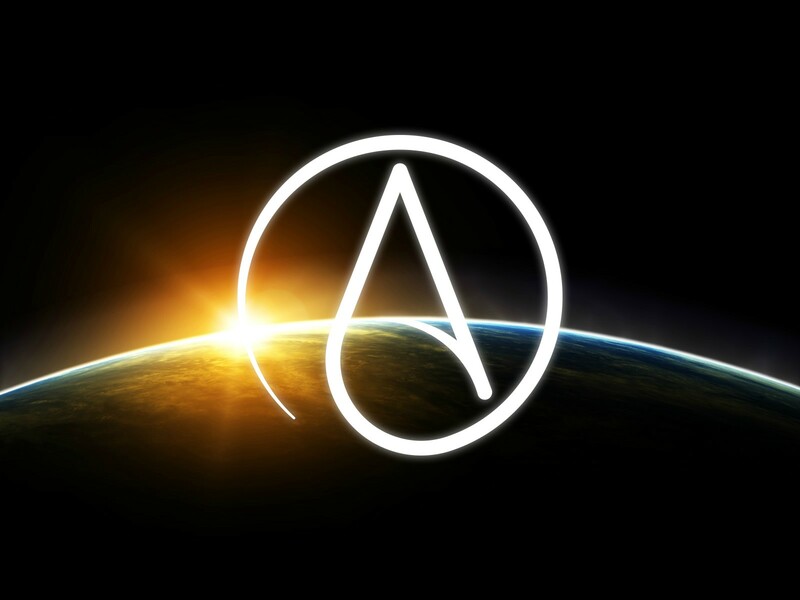 As I've grown more and more familiar with the atheist community I realize how many absolutely wonderful, caring, loving people have come to the same conclusions about god and religion that I have. Even though, as a Christian, I considered myself accepting and loving toward atheists, I still fell for some of the stigma surrounding the label because of how atheism is portrayed within the church. So let's take a look at what atheism actually is and some of the main reasons someone doesn't believe in god. 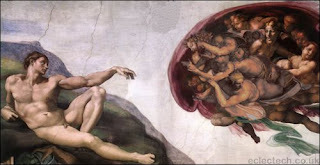 Atheism is a term that means, disbelief in a god or deity. For most atheists it's not necessarily about making a definitive claim that there is absolutely not a god. We simply deny the claim that there is a god. Why would we do such a crazy thing?! There are a lot of reasons that someone decides that they can't believe in a god. For most people it's a combination of many reasons, like it is for me. Often there is the one overarching reason that was the ultimate reason for our final conclusion, but it still tends to be a combination of many reasons. Some of the reasons for not believing are: the unreliability (and often absurdity) of the scriptures; the problem of pain and suffering; the seemingly mythical nature of the claims and stories of scripture; the flawed historicity and/or science of scripture; hypocrisy of believers; atrocities committed by the followers (past and present); contact with a variety of other religions; philosophical thinking that leads them to distrust the claims of religion, etc. The journey into unbelief is different for ever person. Some people don't believe from the very start. I have a brother who was that way. He grew up in the same home as I did with the same Christian upbringing, but I became a devout believer and he never believed any of it. Some people are born skeptics and some of us grow into our skepticism. Here's an article that talks in more detail about why people become atheists (Why Do People Become Atheist?). Millions of people leave religion and become agnostic or atheist (agnostic, meaning they acknowledge that they cannot know one way or another whether there is a god and they don't take a stand either way). As I mentioned above, the reasons vary drastically for each person or are a combination of all of the reasons above and more. It has been amazing to me to discover how many people walk away from their faith. The only stories I had heard in great number were of unbelievers becoming believers (mostly children and young people). I didn't hear many stories of apostasy (abandonment of religious belief) and when I did the person was made to seem like a fool. I have also found that there are many clergy persons who find that they can no longer believe and often feel trapped in their role as a pastor, priest, etc. There is even a project designed to help people in that position because it is such a big problem. It's called the Clergy Project. There is also a hotline that people can call if they are questioning their faith, experiencing a crisis of faith, dealing with the negative impact of religion on their life or have friends or family that are dealing with any of those things. It's called The Hotline Project. For me, the main reason for my deconversion was discovering the overwhelmingly errant nature of the Bible. As a fundamentalist, I relied fully on the Bible, as the inerrant Word of God, to be my source of truth, instruction, guidance, and salvation. I trusted, based on what I was taught, that it was indeed inerrant and without flaw, revealing the true nature of the one true God. When I finally let myself take a truly objective look at the Bible, the errors of my thinking became painfully clear to me. Without being able to trust the Bible to be the Word of God I could not trust that Christianity was true in any sense. I never wanted to be someone who cherry picked the Bible for the stuff that was agreeable to me while leaving out the rest. Inevitably, if you want to be a Christian you HAVE to cherry pick. Either that or call some things metaphorical or allegorical while taking other things literally. The problem with that is, who is to say what is intended to be taken as metaphor and what isn't? Within Christianity there are many different interpretations of key doctrines in the Bible. This, to me, raises a lot of red flags. At that point I started to take a look at things outside of the scriptures that weren't compatible with my Christian worldview and the dominoes tumbled. Homosexuality was a big one, as I've described in previous posts. Another big thing was the scientific discoveries that contradict the Bible's account. The pain and suffering in this world filled with the supposedly beloved children of God was another troubling factor. Fallen world or not, how can an all-loving, all-powerful God look down on a child being repeatedly and brutally sexually abused and do absolutely nothing. Just, merciful and all-loving? I think not. That doesn't even mention all of the violent atrocities commanded by God in the Bible, which even included slaughtering innocent children of other tribes. Those reasons and many more have put nail after nail into the coffin of my faith in a god. So what does it mean that I'm an atheist? It means that I do not and cannot believe that there is a god. I'm not claiming that there is absolutely not a god, but given the lack of evidence for an all-powerful, all-knowing, just and loving god, I have to deny his existence. In fact, I deny the existence of any god, even an uninvolved deity. The concept just doesn't make sense to me. Since I don't believe in a god, I don't believe in Jesus being the son of god or god himself (or both). If I were to find out that there was, in fact, a god, I couldn't say that I would definitely worship him given my current view of him. I conclude that there is probably nothing after this life. I don't believe that we live on after death because I see no reason to believe that. It's wishful thinking, in my opinion, because we can't stand the idea of ceasing to exist. That is a very real and understandable feeling, but I don't think it's based in reality. However, I don't see life as being void of meaning and joy. We have this one life, this one opportunity to live and love and be loved. We can do everything in our power to make this a better world for the generations to come and for the people around us. Since I don't look forward to whatever is after death, I can focus on the here and now and making the most of every day that I get to live on this planet (out in the boonies of our galaxy) that is temporarily hospitable to life. I'm going to do my best to soak up all the good that this life can give me and limit as much of the bad as possible for myself and the people around me, especially my family and loved ones. That gives my life meaning, purpose and joy.